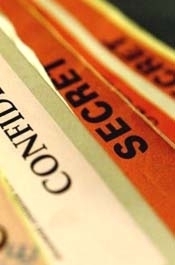 FEBRUARY 1--A U.S. government employee with a top-secret security clearance is the subject of an FBI investigation into his unauthorized removal of classified material from the Virginia offices of an intelligence agency, The Smoking Gun has learned. 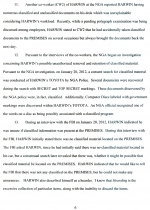 When the target was confronted last month by federal agents, he described himself as a “hoarder.” During a subsequent search of the man’s Maryland home, investigators recovered a large cache of classified documents and computer disks. 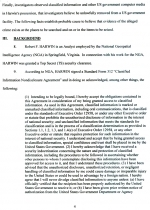 The criminal probe is focusing on Robert Harwin, an analyst with the National Geospatial-Intelligence Agency (NGA), which creates maps and interprets images from satellites and drones. 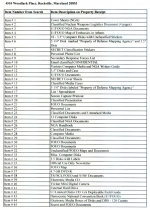 The agency’s advanced, and highly secret technological capacities allowed it to play a key role in the successful raid on Osama bin Laden’s compound in Pakistan. 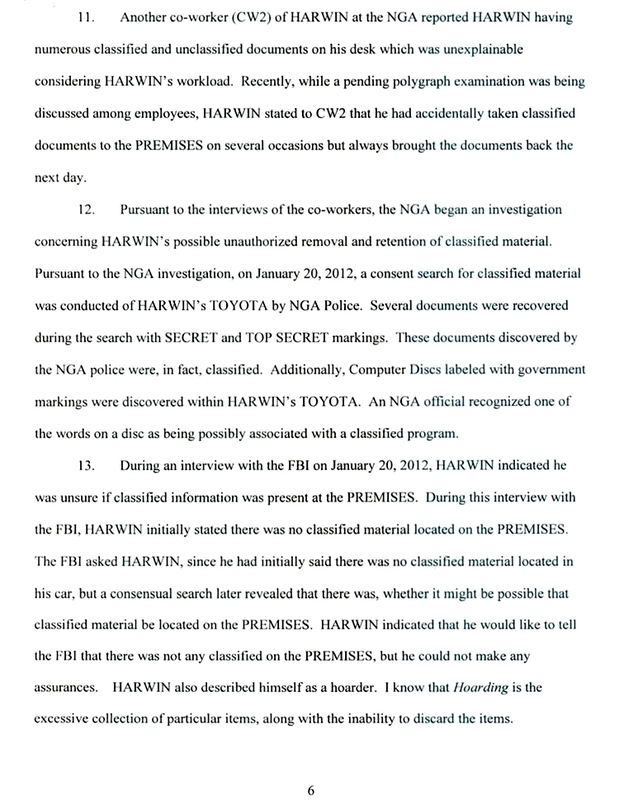 FBI agents, who began investigating the 67-year-old Harwin last month, questioned him on January 20 about the discovery of secret and top-secret documents in his 1991 Toyota Corolla. 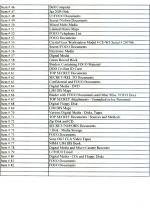 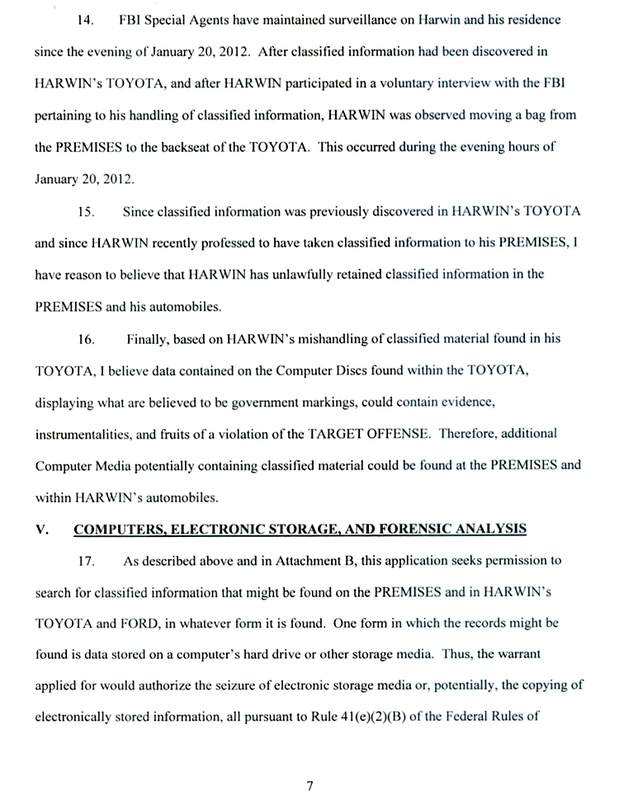 Along with the classified documents, “Computer Discs labeled with government markings” were found inside Harwin’s vehicle. 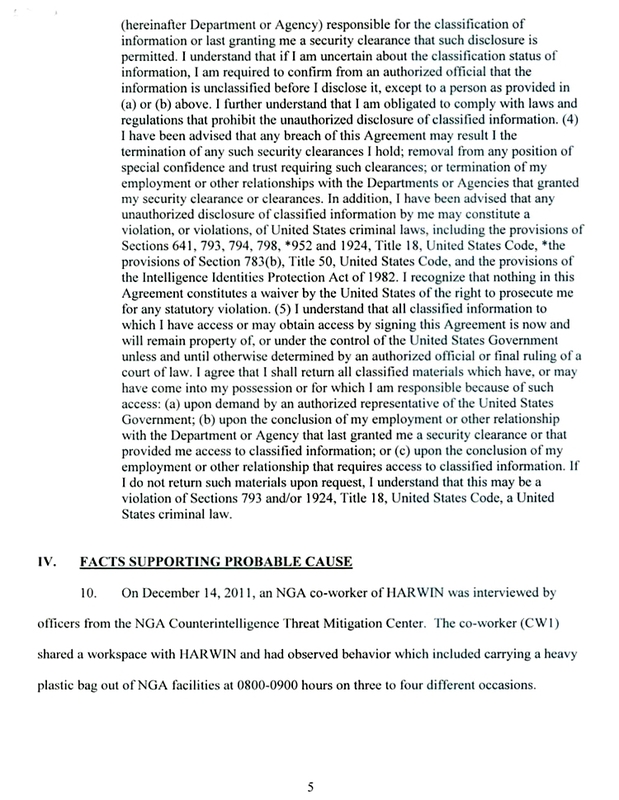 Two days later, armed with a search warrant, FBI agents raided Harwin’s home and removed a wide array of secret and top-secret documents and other classified material. 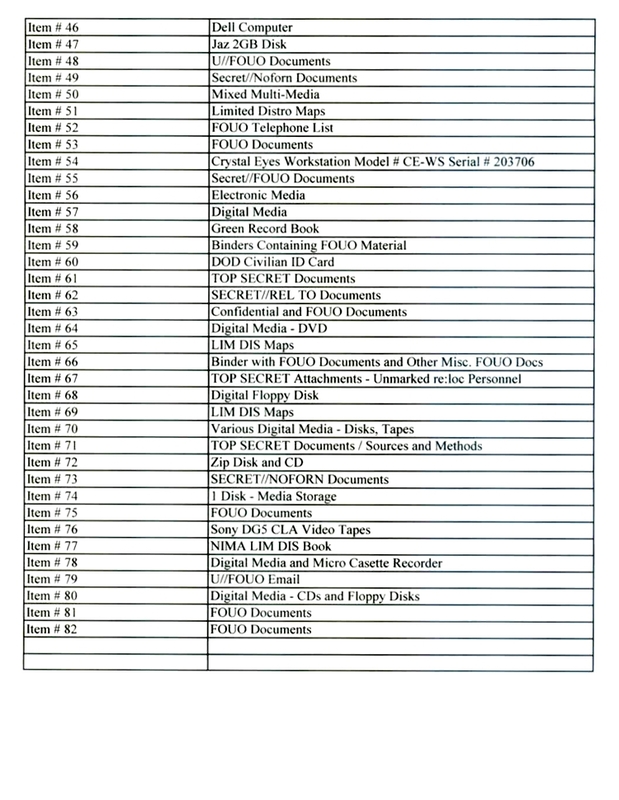 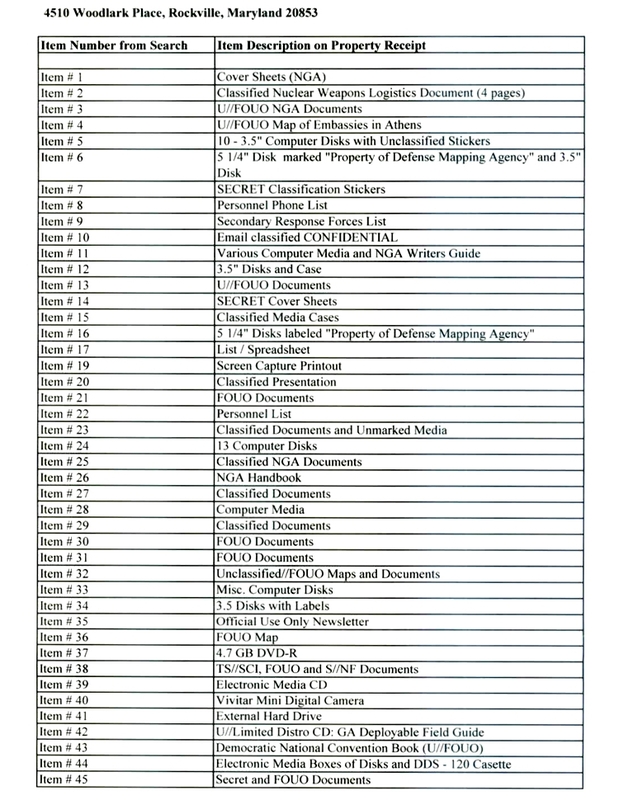 While a two-page inventory provides brief descriptions of the records seized by investigators, it is hard to discern how many pages of material were removed from the residence. 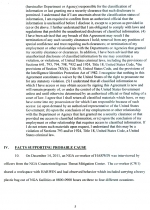 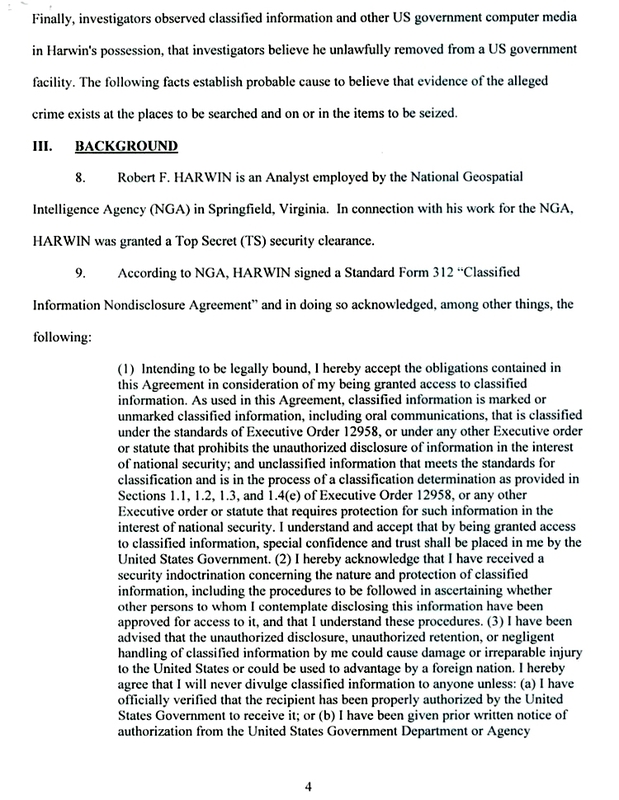 Additionally, agents removed “NGA Documents” from Harwin’s pickup truck.